In this archive of work from The Artists' Press, you will find links to work that we have published and which have sold out. We never reprint work, make "second" editions or otherwise produce fraudulent work. When we say a work is a limited edition it really is. The list below consists of links to individual artist's archives. These are updated on a regular basis as and when an edition sells out. We keep records of who each and every print is sold to as well having documentation sheets which detail all the technical details of each print as well as recording the distribution of the printer's proofs, artists' proofs etc. To see what a valid documentation sheet looks like click here. We can sometimes assist collectors in contacting others who have bought work and which we no longer have to sell. We are contacted from time to time by people who want to sell work from their collections and we are happy to put people in touch with each other where we can. The aim of keeping an archive is so that collectors, students and researchers can refer to all the work that we have done with artists. All the work published by The Artists' Press is available to look at on this website. We have worked on a contract basis with a number of artists and that work is not recorded here or kept on this website. The exception to this is William Kentridge's work. The Artists' Press has collaborated on many editions with Kentridge and the prints are often exciting and technically challenging, hence it appears in our collection. If there is a print that you think may have been printed by The Artists' Press but which you cannot see on this website please contact us and send us an image of the work. We do have documentation sheets for every print that we have done whether published by us or done on a contract basis and will be happy to email this to you. Please note that some of the images on these pages are not of the best quality as quite a few of the photographs were taken in the early days of digital or even in pre-digital days. For any further information regarding the prints or our work please contact us. 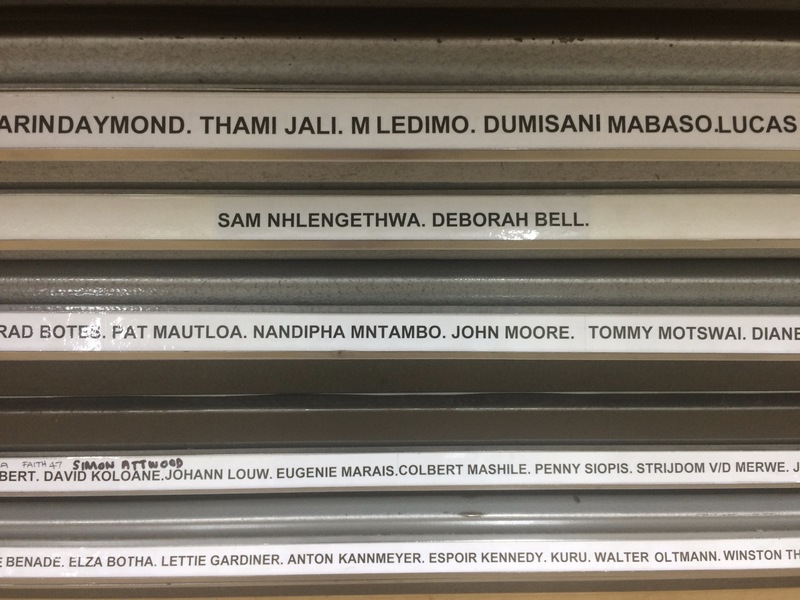 To take a look at the archive of books produced by The Artists' Press please follow the links below (these books are not available from us).